Whie and Pink sugar flowers . 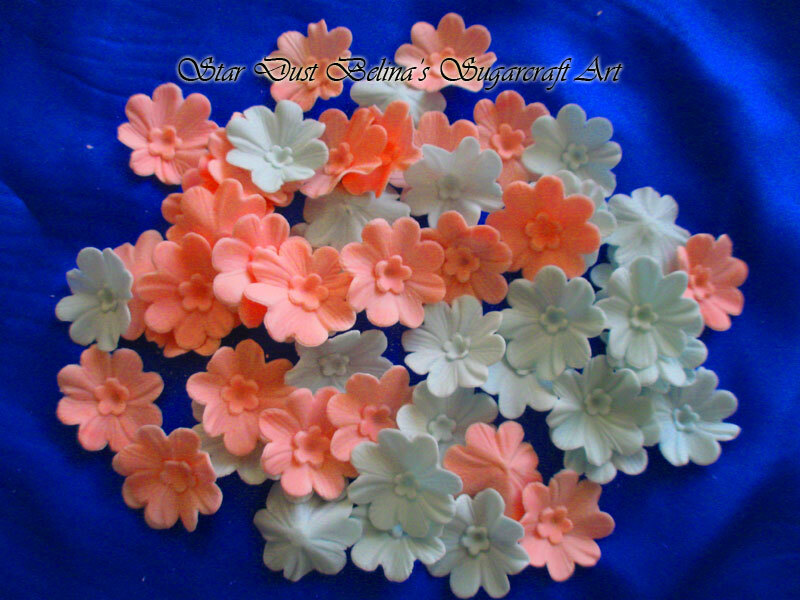 Each little sugar flower measures approx 25mm wide. They look stunning a single cupcake decoration as well as on celebration cakes.